The next show I have on the set list is Black Friday, Nov 28, at Tower Grove Holiday Fair. The store will be open, but I will be short on email for the first week of Dec – if you make an order then, know that I will be mailing out the *second* week of Dec. 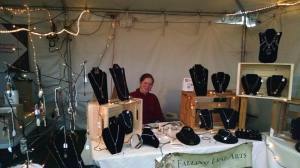 I will also be at Kris Kinder Market in Kansas City on Dec. 13. The annual holiday sale will be Dec 9-14, and the last day to get things ordered with a guaranteed delivery for Christmas by USPS is Dec 19. 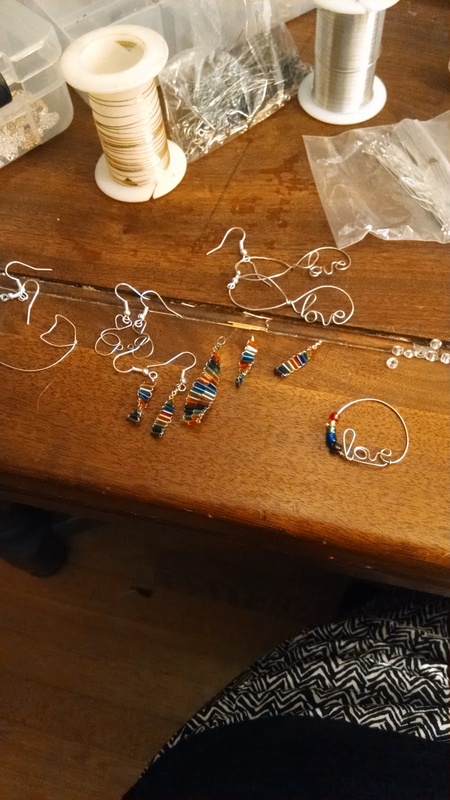 …Trying to add new pieces the store this evening, I’ve realized we have a bit of an issue in the navigation and purchasing things since the most recent update of the store software last week. My apologies, and I’m working on solving the problem. ETA – I think I’ve implemented work-arounds on a couple things and solved others. Please leave a comment or email me if you find more issues! Under Teaching up top, you’ll find Event Registration with the classes for this fall. Feel free to sign up – because the event system I’m using doesn’t have an option for ‘at the door’, all class prices are in the descriptions. On the other hand, if no one registers by the day before, I’ll consider the class cancelled and take the night off. So, pre-reg! Had a fabulous time this weekend out at the St. Louis World’s Fare. Tried a slightly different set up and it worked! Hopefully I don’t lose any more pieces to wind. It was fabulous to see everyone out in Forest Park. I’m posting the fall class schedule this afternoon, and hopefully a bunch of new inventory this week as I get pictures taken. My next show is MetaCon in Minneapolis, Oct 24-26. After that, the St. John’s Holiday Bazaar on Black Friday. Or, as always, here. See that classes tab up at the top of the website? That’s about to get a lot more relevant. Starting in September, I’m going to formalize the class roster into 3 and 6 week classes, and put up a real schedule. 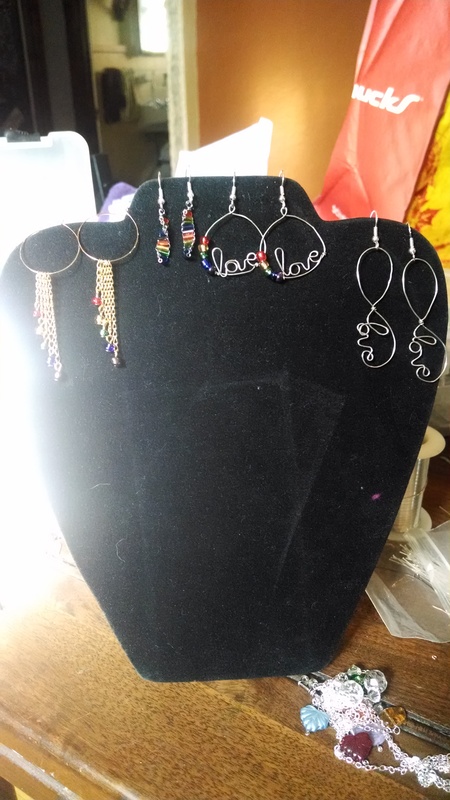 I’m also going to expand the “what do you want to learn?” class list for private lessons, and work towards setting up the materials and sheets for “learn to make your own jewelry” parties at my studio, with projects for 10-13, 14-16, and adults. If you are interested in further information, please contact me, or put yourself on my incredibly infrequent mailing list at an upcoming show. 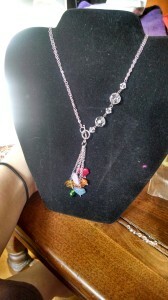 I’m having a lot of fun with this new necklace style; 2-in-1. This one ambushed me at 1am this morning – I told it that I would make it pre-tea in the morning if it would just let me sleep now. 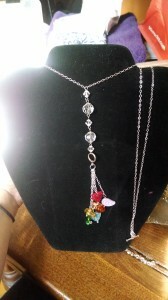 The short form is 18″ + 3″ pendant. The long form is 34″ + 6″ pendant. I’m heading to a costuming convention this weekend, in Kansas City. Figments and Filaments is in its first year, and looks to be a blast. This marks the first show of my season – I’ll be at Show Me Burlesque, Pagan Picnic, Convergence, and Pennsic, or, as always, right here. 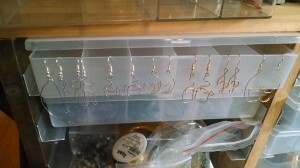 Expect new items to start appearing next week, as I get home and post the new pieces that are still in stock. For anyone who is following my Pinterest boards, it’s probably obvious that I have been having too much fun over in the wire-work earring-and-pendant side of things. 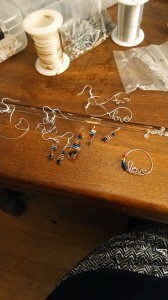 So my goal for the weekend is to sit down with NPR running and create some of the larger necklaces that require time, attention, and focus. What colors and styles would you like to see? We’re closing up for Christmas orders at 4p CST on Wed, so I can manage to get to the post office with packages. Order now! Falling Leaf Arts is a one-woman custom tailoring and jewelry design studio based out of Hartford, CT. Come on in, have a look around, let me know if there's anything you need. Becky on I’m making a note here: Huge Success!